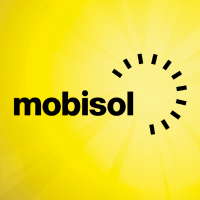 Mobisol is one of the world’s leading companies for Solar Home Systems with approximately 600 passionate employees, delivering a clean and affordable alternative to fossil fuels for low-income households (living without access to reliable energy). Our dedicated product line combines solar energy with innovative mobile technology and accessible micro-financing. Having successfully installed more than 90,000 solar home systems in Tanzania, Kenya, and Rwanda, Mobisol is in the process of scaling with its mission to Plug in the World. Please read more about Mobisol at www.plugintheworld.com. In order to support our operations all over Tanzania, we are looking for Mobisol Sales Representative. Do you have a background in Sales, Marketing and/ or Last mile distribution? If yes, Apply now!